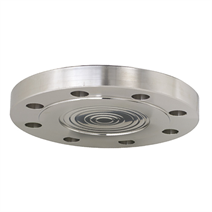 The model 990.27 diaphragm seal is available in a wide variety of dimensions following the usual standards for this market. For the material selection WIKA offers a variety of solutions, in which the upper body of the diaphragm seal and the wetted parts can be made of identical or different materials. The diaphragm can, as an alternative, be coated.